The disk in drive * is not formatted. Do you want to format it now? 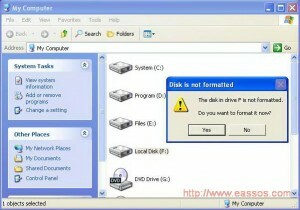 Have you ever come cross the situation that the disk reports “The disk in drive * is not formatted. Do you want to format it now?” Actually such kind of error is very common in Windows, but most people who get this error do not know how to handle it. This error may be caused by a bunch of reasons, such as virus attack, unexpected power failure, etc. The file system is displayed as RAW, which means the disk is not ready to be used within the operating system and data in it can’t be read either. 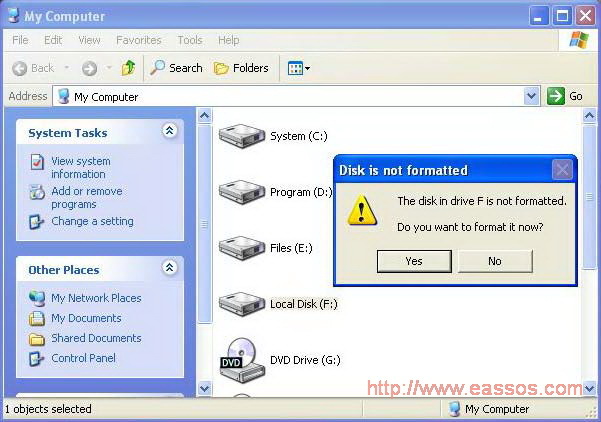 To access the disk, you need to format the disk, but once you format the RAW drive, the data on it will be formatted and lost. 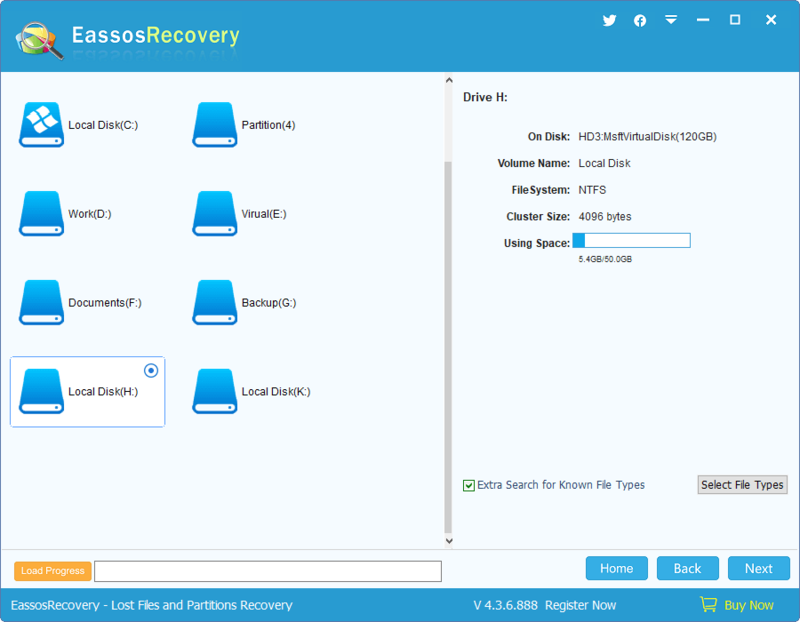 Thus it is recommended data on the drive be recovered by data recovery software before you do any operations. 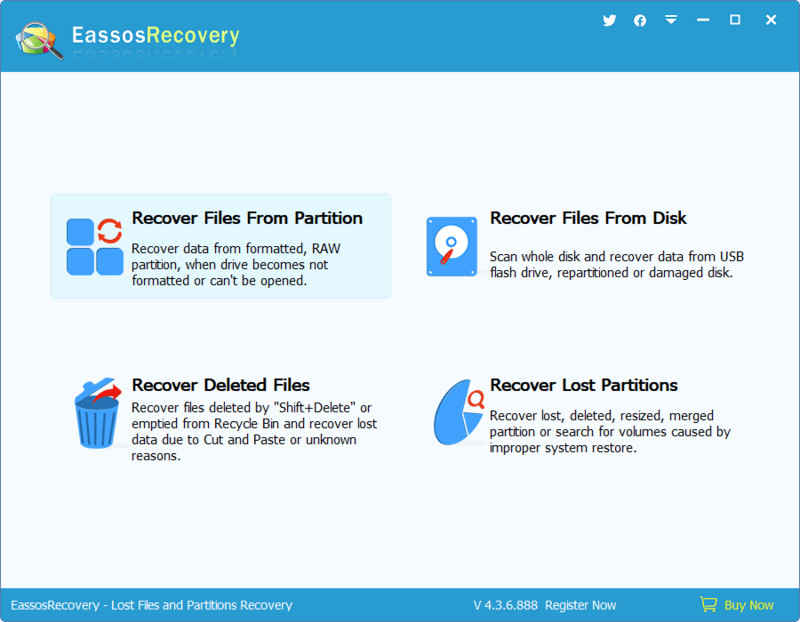 The partition recovery function of “Recover Files From Partition”, provided by Eassos Recovery can help recover data from disk that get such error. Even though you are not a computer expert, you can conduct the data recovery easily and safely. Step 3: After file scanning process finishes, you can view files and pick out what you need. Step 4: Save recovered files to target drive. 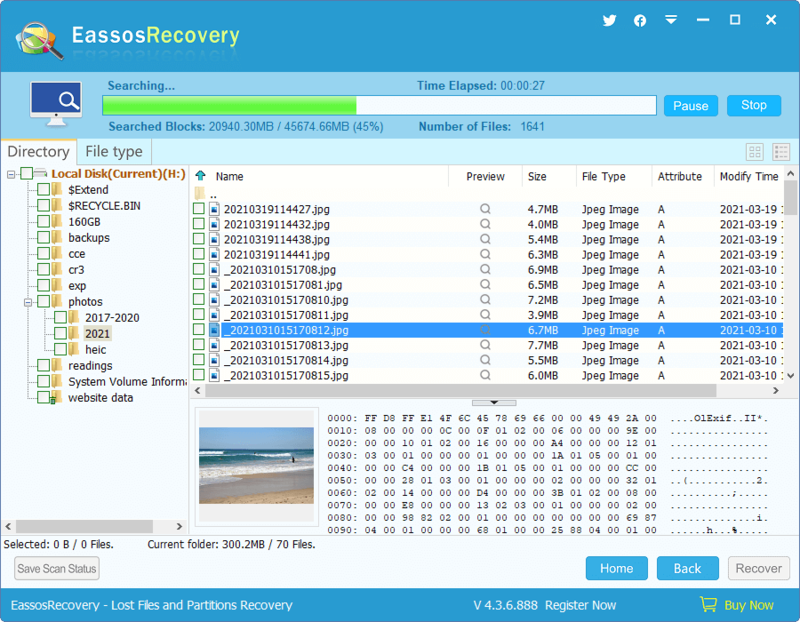 This entry was posted in Data Recovery and tagged partition recovery, RAW drive data recovery, the disk is not formatted by EASSOS. Bookmark the permalink.